I love the begonia leaves. I only have one begonia rex that I keep meaning to propagate through leaf cuttings. Have you ever done this? 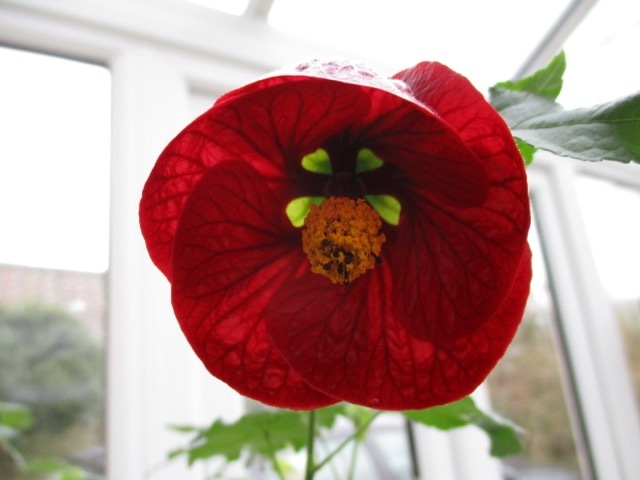 The abutilon colours are really striking too. I have tried propagation through leaf cuttings, Sue ... it was an unmitigated disaster ! Your notes on Abutilons are encouraging. They are so beautiful but I had vowed to stop planting things that are marginally hearty in zone 7b. Hi Ricki, I know where you are coming from! It is so much less hassle to just keep totally hardy plants in the garden. Trouble is, I find the tender ones irresistible ! Your conservatory is inspiring. I'm adding more and more plants to the sunroom each year--same thing, we keep the temps lower to benefit the plants and the budget. Your plants look very healthy! It is hard to regulate the temperature isn't it Beth? They need to be just high enough to keep things healthy and thriving, but low enough to be as economical as possible. Hi Jane, I am so glad for you that you have this conservatory! It would cheer me up, too! I love, love, love your begonia 'Garden Angels', the leaves are so fascinating, I think I wouldn't need flowers to be happy with them. 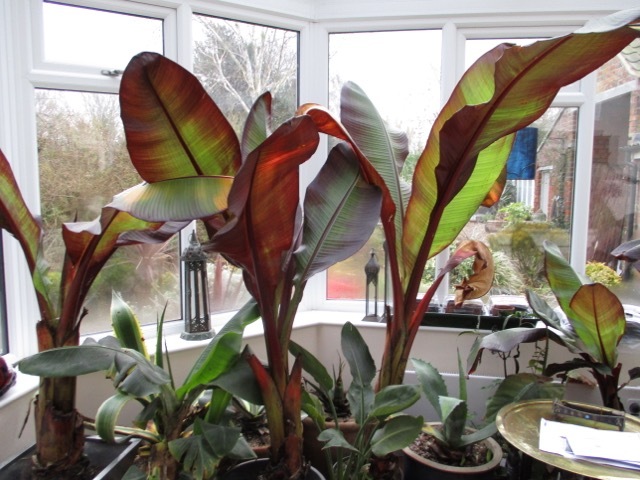 Your red Abyssinian bananas are also a thing to admire! They simply look spectacular. 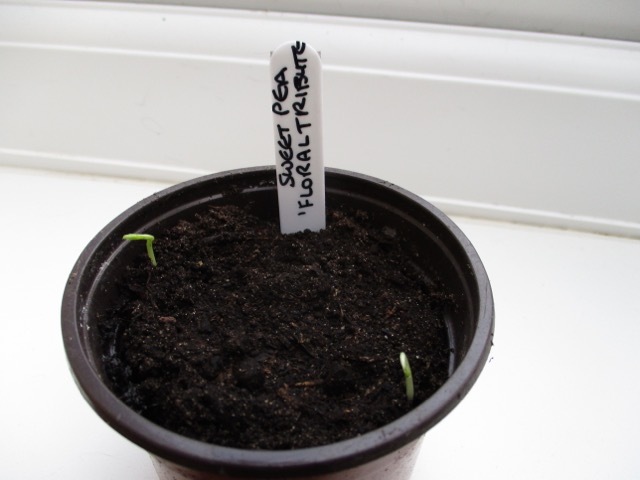 Your last photo reminds me, that I haven't sown any sweet peas, yet. I don't even have the seeds, well I better get on it, otherwise there will be no sweet peas this year in my garden. Get those seed catalogues out Christina and get choosing! Trouble is, there is so much choice that it is difficult to make a decision! 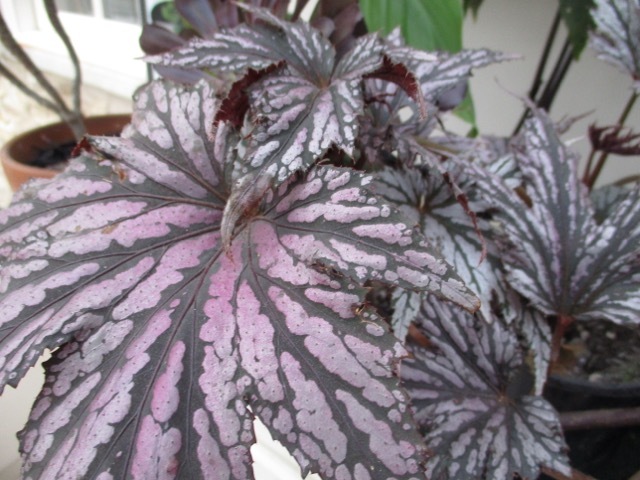 The begonia leaves are very attractive, I will have to look out for it in the plant catalogues, garden centres. Sweet peas are a true sign of reasons to be cheerful. Hi Brian, the leaves are very similar to Begonia Rex, but apparently 'Garden Angels' will take a degree or two of frost. Thompson & Morgan sell them as do their cheaper sister business, Van Meuwan . Sweet peas are truly the scent of summer! Witch hazels are out here and snowdrops are coming up. The new season has begun! I love begonias in any form. 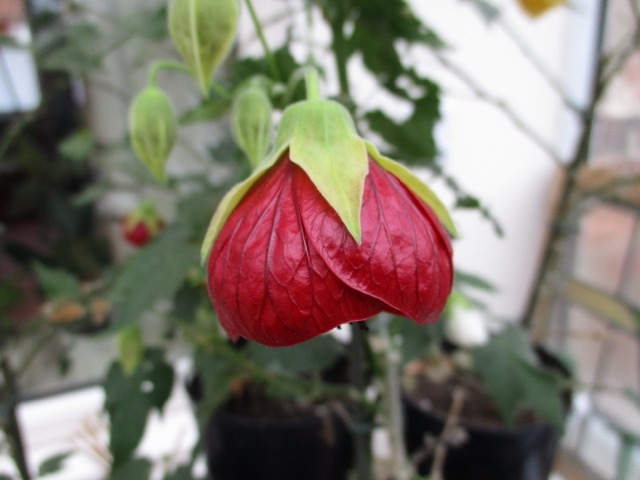 I also like Abutilons but they don't bloom well here. They start blooming when I bring them in for the winter. They don't last very long so I have given up on them. Seeing your seedlings peeking out makes me very excited. Have you started sowing seeds yet, Lisa? Light levels here in the uk are still very low, so it is far too easy for seedlings to be horribly leggy as they veer towards the window. Begonias are relatively new for me, and I am just beginning to discover the diversity of the various forms. They are dead easy and the germination rate was fantastic. 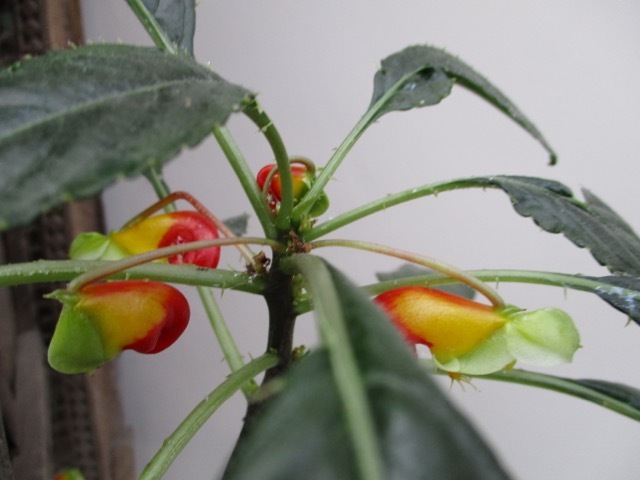 Chiltern seeds sell them online. Love the thought of plants sitting it out in the sitooterie !! Is there anywhere to sit down in your house?! The photo of the bananas made me smile... that is a gardener's garden room! 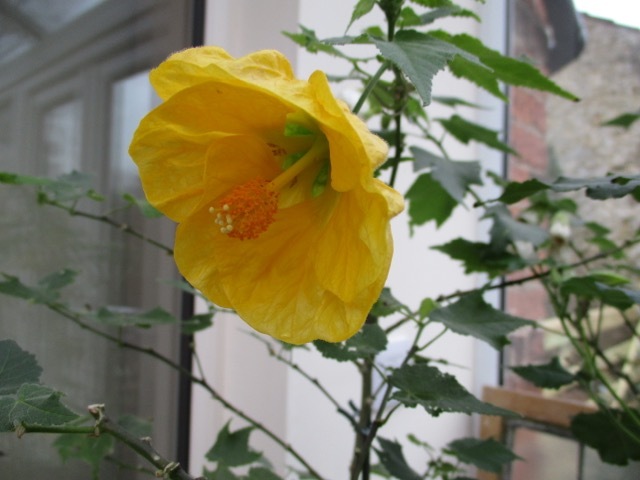 I grew Abutillon when I had a greenhouse to overwinter them and I loved them. I rather miss them so I will be interested to learn how the outdoor ones fared in the recent frosts. Hi Sarah, space for humans is becoming a tad limited I'm afraid! 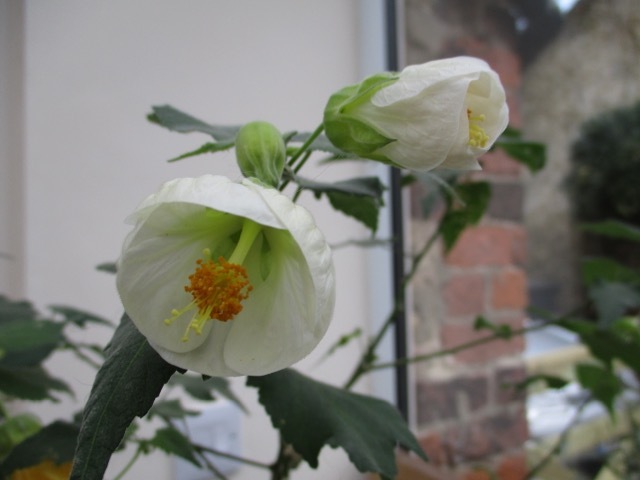 Did you heat your greenhouse or did the abutilons survive at frost free temperatures? Mine seem fine after -4.8 degrees, but they are in sheltered positions in the garden, tucked in with larger plants, so might have their own cosy micro climate. conservatory are just fabulous. I love nature but you you did in this way i just love most. It sounds like you are all ready for spring! 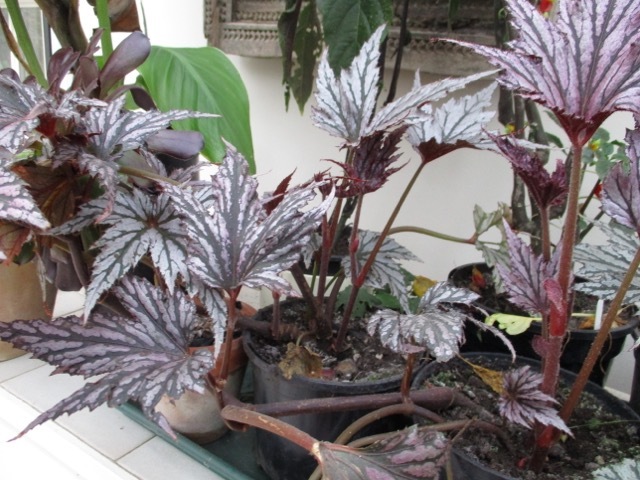 Your conservatory collection of plants is wonderful and I love your Begonia 'Garden Angels'the most for its wonderful foliage! We have had a pretty mild winter here up until just the past week, but I am very much looking forward to spring. There is something wonderful about seeing those first bulbs starting to push buds through the once frozen ground. Glad to have found your blog and enjoyed the read. Have a great week! Hi Lee and thank you for your comments. It felt very spring-like in the garden today and I am giddy with excitement at the thought of a warm sun again! Thank you for sharing reasons to be cheerful! Very much needed right now. 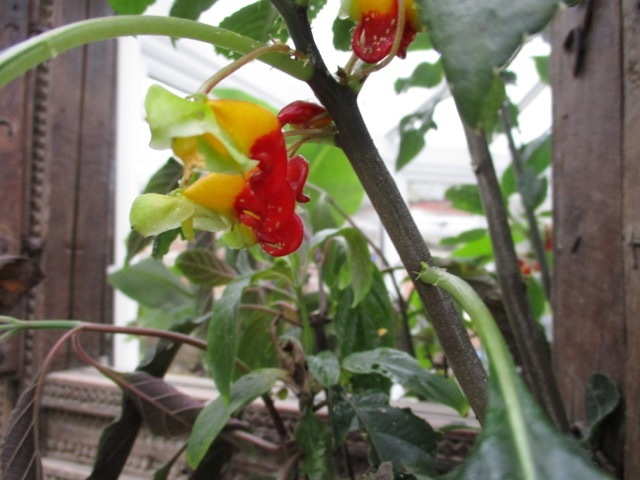 I have seen Abutilons in greenhouses and out on the west coast, but have never grown them. Hi Jason - hang on in there ! Seeing is just around the corner ! Worth trying outside as they will take around -5 degrees if my experience is anything to go by! Argh! Auto correct! Meant 'spring' - not 'seeing'!! Wow, I am impressed how many plants you have and how beautiful they look! As someone in the comments said you are definitely prepared for spring! Last summer I also grown many plants from seeds. I ordered plenty of them http://https://gardenseedsmarket.com/garden-flowers-en/ because of amazing sales so I had to use it! Also last summer I build a greenhouse with my husband so we could overwinter most of them.